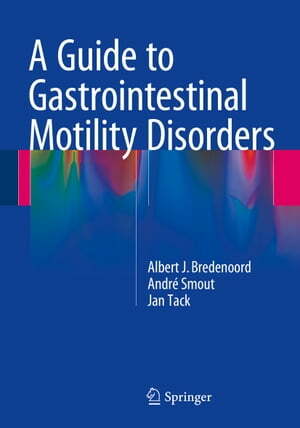 Collins Booksellers - A Guide to Gastrointestinal Motility Disorders by Albert J. Bredenoord, André Smout & Jan Tack, 9783319269382. Buy this book online. ?This book describes the causes and clinical management of functional gastrointestinal disorders in a readily understandable way, with the aid of many clear illustrations. The concrete and practical advice provided will be most helpful in the clinical practice of both the general practitioner and the medical specialist. Functional disorders of the gastrointestinal tract, such as gastroesophageal reflux disease, functional dyspepsia, and irritable bowel syndrome, are very common and chronic conditions. Despite the recent publication of many scientific papers on their diagnosis and treatment, much remains unclear, and management is still considered challenging. This practice-oriented book will be an ideal source of reliable up-to-date guidance for all who care for these patients.